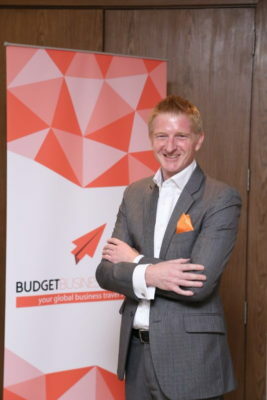 For the British entrepreneur, Steve Harrop, founding and running an online booking engine is the answer to several personal experiences he made during his corporate career in finance and accounting. After being confronted with a surprising lack of customer recognition at major airlines he had been loyally traveling with for many years, the idea of creating his own company started forming. His vision was to build an online booking engine that would cater to the independent business travelers who book their own trips and do not rely on corporate travel management companies. As this market is largely overlooked by the travel industry, Mr. Harrop decided to create a platform specifically tailored to their needs: an intuitive website with the best deals on hotels and flights, that gives members the chance to book their own trips and ask for assistance from their personal account manager at any time. What was particularly important to Mr. Harrop as well, was that faithful customers would benefit from a strong rewards program that was not time sensitive and would not expire, even if no new bookings were made for a while. Having been affected by this himself when his company cut back on corporate travel after the financial crisis of 2008/2009, he wanted to create a platform where his customers would not face such issues but instead receive outstanding service and excellent rewards. 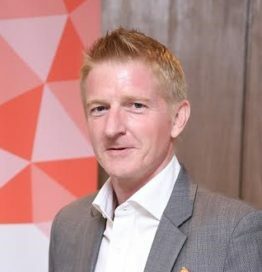 With ten years of experience working for leading destination management companies in senior roles such as Chief Finance Officer, Chief Operating Officer and Chief Executive Officer, and more than 20 years in the finance and accounting field, Mr. Harrop gained the expertise necessary to start building his company. After two years of careful research and planning, he launched the development of his BudgetBusinessTravel.com, a year-long process that comes to a successful close with the launch of his online booking website on 27 April 2017. Born and educated in the United Kingdom, Steve Harrop has always had a passion for numbers and a strong understanding of topics related to finance and accounting. He decided to further pursue this direction in his studies and became a Fellow of the Chartered Institute of Management Accountants (CIMA), the world’s largest professional body of management accountants offering. To further deepen his knowledge, he later obtained a postgraduate diploma in Business Administration at the University of Manchester in the United Kingdom before continuing his international career and ultimately starting his own business. How important is Digital Marketing and Digital Distribution Channels for the business trips today? The business traveller historically either used an offline TMC or high street travel agent to arrange their business trips. With the advent of the digital age we have seen over the last few years an ever increasing use of online booking engines especially for the independent business traveller. By going online they can save time in the booking process as well as benefit from the dynamic fares offered by the travel providers. The importance therefore of digital marketing and distribution is critical today and growing even more so into the future as the online market size increases. How can we redefine business travelling with the help of the new digital technologies? It is all about giving the customer what they need and when they need it and importantly recognise the behavioural difference between a business traveller and a leisure traveller. Tailoring the marketing to attract the business traveller who doesn’t necessarily need to see pictures of idyllic beaches and blue skies. Ensure that the demographics for a marketing campaign are well defined to target the business traveller audience. From a distribution point of view the fares on offer won’t necessarily be the restricted rates that attracts them or in the long run most economical for them. Search algorithms should recognise the best fares with the greatest flexibility and systems designed to make changing itineraries easy and efficient. An event like “Digi.travel Conference & Expo” how can help travel & hospitality professionals to keep abreast with the trends and evolution in the digital technology? Events such as Digi.travel Conference & Expo allow for likeminded people in the industry to get together and share ideas, learn from peers and showcase what is developing in the marketplace.